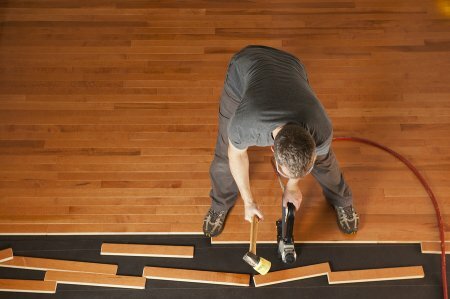 Are you getting ready to overhaul the flooring in your house? You’ll need the right tools to get the job done. If you need any help finding the right tools for the job, you can always trust the experts at A Tool Shed. We offer a multitude of tools and equipment that can help you with any project. Read on as we put the spotlight on our hardwood flooring nailer and stapler rentals. You can find just about any tool rental that you need at A Tool Shed. If you’re going to be working on your floor, you might need a floor tightening jack or a hardwood and laminated floor stapler. We have two different gauges of hardwood floor nailers, as well as a hardwood flooring nailer kit. Being prepared with the right tools makes a flooring job that much easier, so talk to your equipment rental company and figure out what you need. A Tool Shed can offer you a variety of tools for rent in San Jose. You can count on us for all your demolition and construction equipment needs, including drills, forklifts, and tractors. Call us at 1 (800) 286-6574 or visit our website to learn more. Renting tools is much different from owning them, but in many cases, this works to your advantage. There are advantages to both renting and owning, however. When you rent a tool, you don’t have to worry about maintaining it and you won’t pay full price to use it. Buying a tool, on the other hand, means it’s yours forever. If you’re going to invest in new or used tools, you should weigh the pros and cons of each choice. Some folks like to purchase their tools so that they own them fully and outright. This is a good idea if you’re buying a tool that you know you’ll use on a regular basis over the next few years. You can resell your tools when you’re done with them and earn some money back, but you need to take care of them in the meantime. Regular maintenance keeps them working efficiently, and it maintains their condition in case you do want to sell them in the future. If you want to use the best tools available but you don’t want to worry about maintaining them, then talk to your equipment rental company. Your tool rental professionals will help you find exactly what you need, and you can just take it for as long as you need it. This is ideal for tools that you might not use all that frequently. It’s also helpful if you regularly switch out your tools and don’t want to commit to a piece of equipment that will be replaced in a couple of years. Buying and renting both have their advantages, but renting your tools is a more flexible option. Renting keeps your finances free, and it still helps you get the job done. Finding tools for rent in San Jose can substantially lower the cost of your project , and you’ll still get to use the best products while you’re on the job. A Tool Shed specializes in new and used tools like jackhammers, generators, and welders, so call us at 1 (800) 286-6574 or visit our website for details. A reciprocating saw may be exactly what you need to get your project done. Just like any other tool rental, it can be dangerous when used improperly. Watch this video for tips on staying safe when using your reciprocating saw. The main purpose of a reciprocating saw is demolition, but you shouldn’t dive right in. Instead, start by making a plunge cut. This ensures that you don’t cut into any important wires or pipes that may be embedded in the wall. Be sure to keep both of your hands on the saw at all times, and gently move across after making your plunge cut. If you’re looking for new or used tools for sale in San Jose, look no further than A Tool Shed. We’ve got lawn mowers, jackhammers, and forklifts ready to be rented. Give us a call at 1 (800) 286-6574 for tools for rent in San Jose. Painting a room is a simple and affordable way to change up your interior design without doing too much of an overhaul. Tools like ladders, pressure washers, and paint sprayers can make the job a lot easier, and you can get them from your equipment rental store . If you’re painting a room, don’t forget to pick up these essentials. Depending on the size of the room you’re painting, you might need extra rental equipment to get to all the areas you need to reach. Especially if you’re on the shorter side, consider renting a ladder. Even if all you need is a small stepladder to give you a couple of extra feet in reach, you can get your painting job done much more safely and won’t have to step on your furniture to get to the upper corners of the room. 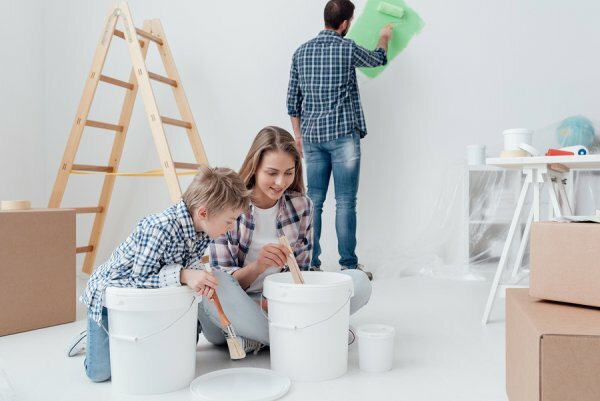 You need a clean surface to paint, so you’ll have to get rid of any built-up dirt and grime on the wall before you can lay a fresh coat of paint on it. If you’re working on an outdoor living space, a pressure washer might be just the tool you need. You won’t want to use a pressure washer indoors due to the potential for water damage and accidents, but this tool can come in handy if you’re working in an outdoor space. Some people prefer hand painting, but others recognize the benefits of a paint sprayer. A paint sprayer is a tool that helps you lay down an even coat of paint quickly and effectively. Look at the different kinds of paint sprayers before you get started on your painting project. Are you getting ready to paint a room in your home? Call A Tool Shed at 1 (800) 286-6574 to make sure you have all the San Jose tool rentals you need for the task. Our business works with both new and used equipment, and it’s our pleasure to help you find what you’re looking for. Peruse our website for more information.